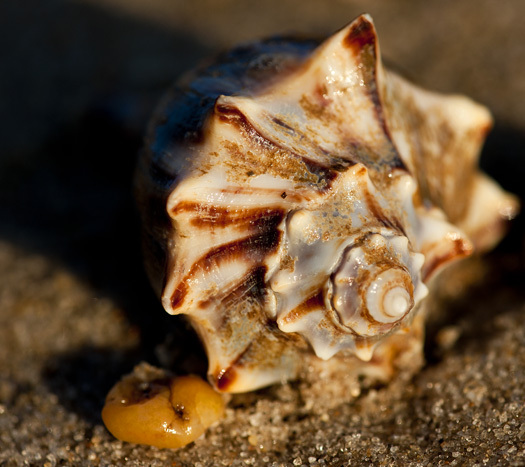 Beachcombers know that each tide may bring in new prizes from the sea. 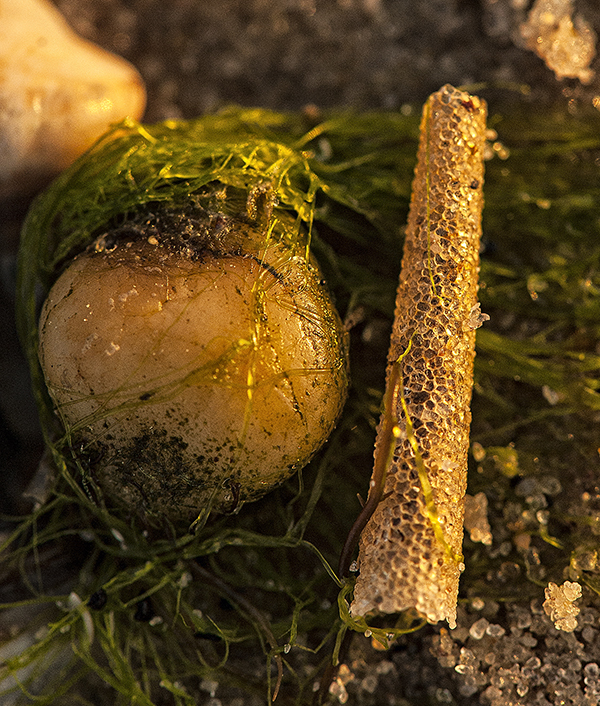 This day an ice cream cone worm tube washed up with sea weed which I found at last light of the day. 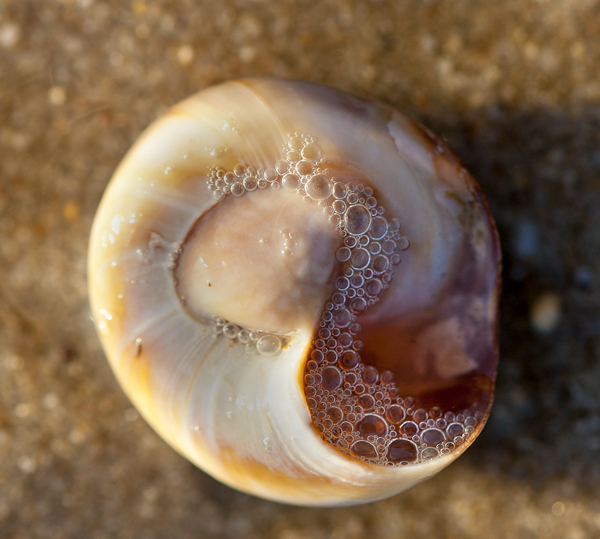 I found this bubble filled Northern Moon Shell on the beach early one morning. Waves washing over the shell left the bubbles which all popped within seconds. 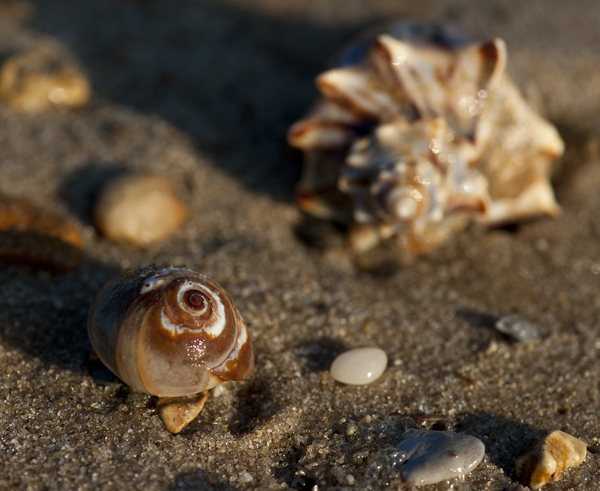 My beachcombing this evening led me to an uncommon find, the tube of the trumpet or ice cream cone worm. 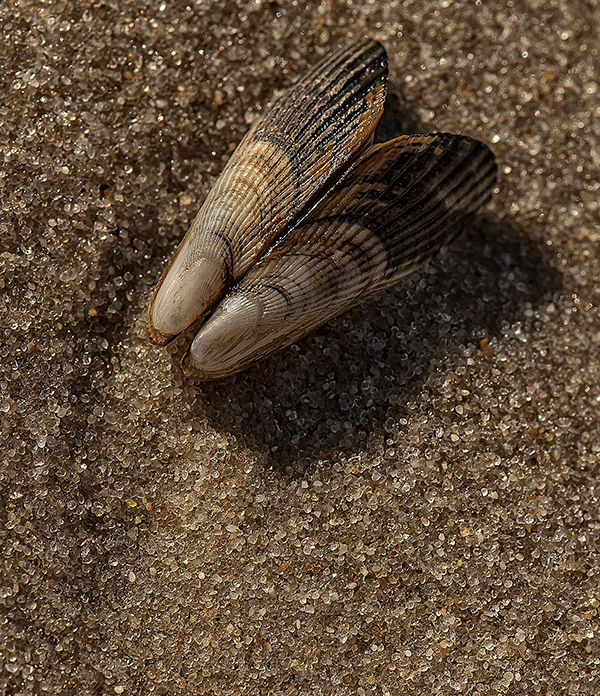 These worms are marine polychaetes that build tubes using grains of sand and the tubes resemble ice cream cones or trumpets. 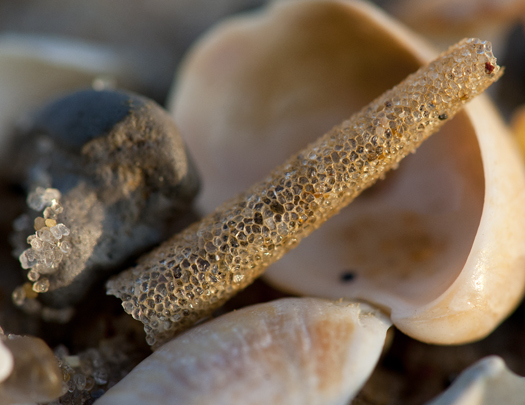 They are delicate structures and often break up in waves as they wash onto the beach. I found this whole one tonight nestled in among shells.